Don’t lose your keys anymore… leave them on the Moqueurs’ Key Hook ! They will make your smile and they will avoid you looking for your keys ! 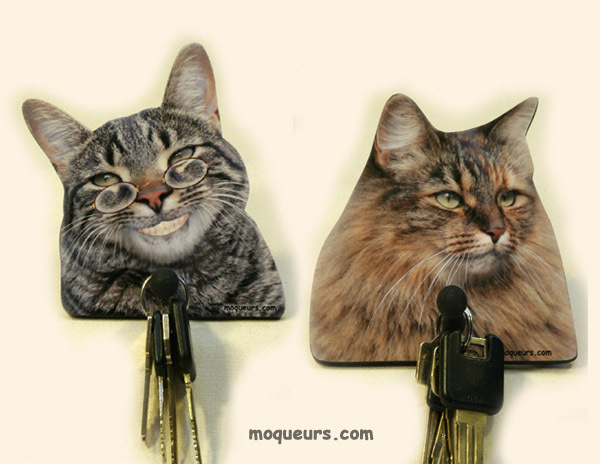 The Moqueurs’ Keys-holder is an original plastic coated picture, laminated on a wood base. Then, it is cut by hand. On the wall, it gives an relief effect. There’s a wood pin to hang your keys. It will hold on almost surface with a small self-adhesive Velcro. No need to make a hole… And it’s easy to install !